Community service	The Islamic Center of Lafayette helps pave the way for bus stop shelters. It took one group text and less than 30 minutes for the Islamic Center of Lafayette to raise the $6,000 needed to build a covered bus shelter in front of the police station on Pinhook Road. As an early donor for Councilwoman Liz Hebert’s recently green-lighted “Adopt A Stop” program, the organization helped make one of Lafayette’s first public-private partnerships a reality. And although the Islamic Center’s board members are quick to dismiss any political ties, they say the project resonates deeply with the core tenets of their faith. Qureshi says it’s a mandatory requirement of their religion for individuals to give at least 2.5 percent of the money they have saved directly to the poor. The church does not collect and distribute this money. Instead, members will often present opportunities to support causes they find compelling. Heeding this call is embedded in their vernacular. Eman Matter, another Islamic Center board member who presented a heartfelt statement to the City-Parish Council in support of the bus shelter initiative, says the Islamic Center is already making plans to sponsor more stops. She says they are called to do whatever they can to help improve these types of hardships in their neighbors’ day-to-day lives. According to Matter, some of the first members they approached about the project offered to write a check to fund an entire stop. She says the organization is focused on funding shelters at stops with the most need, not necessarily stops in close proximity to the Islamic Center. Which is not to say the Islamic Center could not benefit from improved public transportation. On a busy Friday afternoon following prayer, its parking lot on the edge of UL’s campus looks like a mini traffic jam. Taufiq Khan, a board member and former contractor who built the mosque in 1995 from the ground up, says they are running out of room. 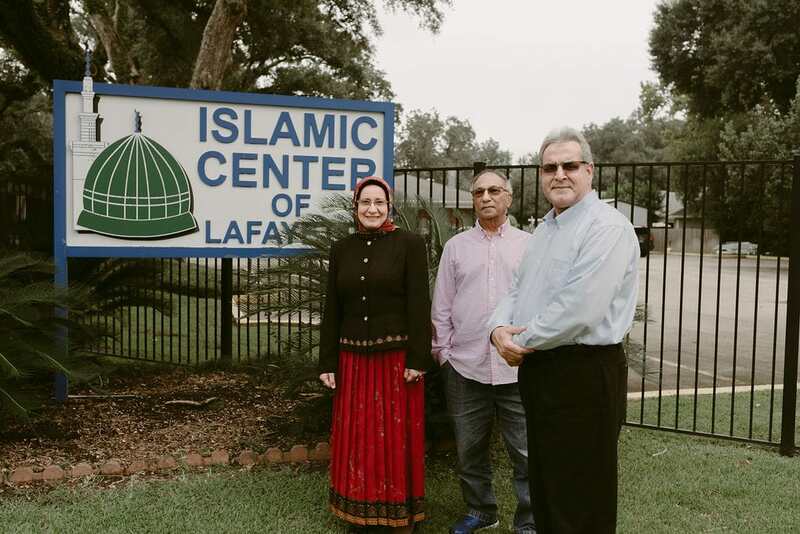 The Islamic Center caters to multiple denominations and serves approximately 450-550 Muslims living in the Acadiana area. Members of the board say the lack of space prohibits their ability to serve more people — particularly the poor — directly, which is one reason they are so eager to lend their support to community programs, such as “Adopt A Stop.” They also work with local organizations, such as the Diocese of Lafayette, Lafayette Public Library and Habitat for Humanity, to donate funds, food and clothing to people in need. The Islamic Center joins a diverse group of businesses and organizations, which have pledged enough to support at least 21 new bus stop shelters. Other donors include: UL Lafayette, Lafayette General, McDonald’s of Lafayette, Unitech Training Academy, CGI, the Pinhook Foundation and the Lafayette Public School System. Hebert says the “Adopt A Stop” program provides an opportunity for people in the community to have a direct impact on something that’s important to them. In other words, she designed the program not only in response to the needs of people taking public transportation, but also the people — like the members of the Islamic Center — who see people suffering and desperately want to do something about it. Marie Elizabeth Oliver is an independent journalist covering culture. She previously worked as an editor at The Washington Post and Better Homes & Gardens. 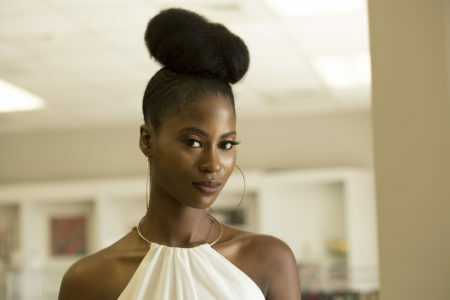 Her work has also been published in Marie Claire, Cosmopolitan, Parents, ElleDecor and Acadiana Profile. 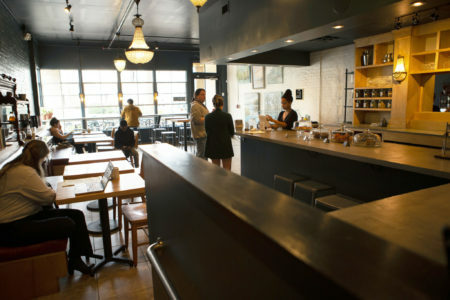 Wines, digestifs and intimate décor will tempt the after-dinner crowd to the Downtown staple. 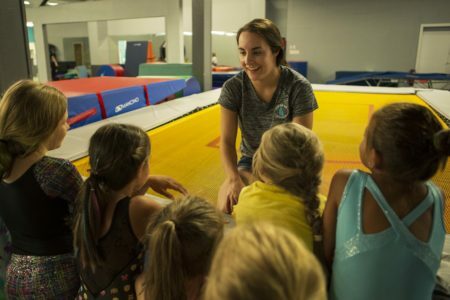 At age 19 in London, the Lafayette-area native became the first U.S. woman to reach an Olympic trampoline final. Now she's charting a new course. Last week, the semi-annual sartorial showcase known as New York Fashion Week, or #nyfw to those more digitally inclined, left a splattering of headlines in its wake. Beyond the predictable celebrity drama and season’s must-haves (hold on to your prairie dresses), the biggest cultural moments stemmed from who walked the runway — not just what they wore.